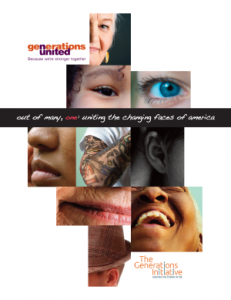 Out of Many, One includes the results of a new public opinion survey on how Americans of all ages feel about the changing faces of their community and makes recommendations to capitalize on our growing demographic diversity. This research and report were funded in part by The Annie E. Casey Foundation, The Atlantic Philanthropies, Ford Foundation, W.K. Kellogg Foundation, and Rockefeller Foundation.